The Legacy Gift Challenge was launched in September of 2017. The challenge encouraged nursing alumni, faculty and staff to include the college in their individual estate plans. Every new or increased planned gift of $25,000 or more was matched with a planned gift of $10,000 from the challenge fund. 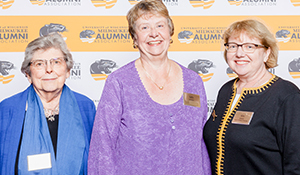 The challenge fund donors included Deans Emeritae Norma Lang and Sally Lundeen, and current Dean, Kim Litwack. The results are impressive. The college alone raised over $1 million dollars since September 2017, for a total of 20 new gifts- a new record for the most amount of money raised in one year for the College of Nursing. 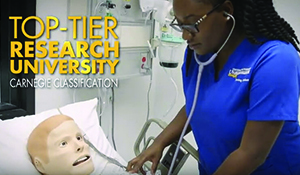 Establishing a gift in your will, trust, IRA or other assets today help ensure the UWM College of Nursing we know and love continues to be a strong and vibrant learning environment well into the future. By choosing to leave a gift in your will or estate – or through another giving vehicle – you are ensuring UWM Nursing can promote student success, increase research excellence, and support community engagement. We appreciate you remembering UWM College of Nursing in your philanthropic giving. If you would like to learn more about planned giving and other ways to give please contact Travis Lamensky.